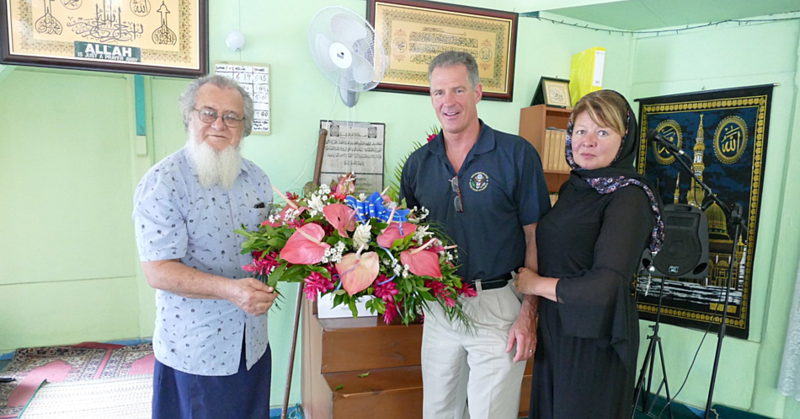 The photo in Wednesday’s Samoa Observer of the American Ambassador and his good lady with Imam Laulu Mohammed Stanley is very touching. Such fake empathy and compassion! If Ambassador Brown is truly sympathetic about what happened to the Muslim community in Christchurch, why not do something real like telling his boss in the White House and his former employers at Fox News to stop demonizing the Muslims with lies and fake news? And while you’re at it by the way, do the same with the evangelical so-called Christians of America. Because when you have such power over how people think and behave, you can’t go on preaching hate against other peoples and then not expect your followers and admirers somewhere to act on it. Words have consequences, the more so when they come from leaders. And what good is wearing a hijab in Samoa other than to take people here for fools, and to copycat the incomparable Ms. Ardern? The big difference is that Ms. Ardern wore the signature Muslim women dress with panache, compassion and most importantly sincerity. The whole world saw that in her, and with the exception of you know where, applauded. She also backed it up immediately afterwards with concrete action. So please don’t add insult to injury and desecrate the hijab. Your current employer in the White House and former employer at Fake News continue to empower killers like what’s his name in the Christchurch massacre. Wearing the hijab at this time is nothing but hypocrisy of the highest order and fools no one here.